Trunks returns from the future to train with Goku and Vegeta. However, he abruptly vanishes. The mystery man’ “Fu” suddenly appears, telling them that Trunks has been locked up on the “Prison Planet, a mysterious facility in an unknown location between universes. The group searches for the Dragon Balls to free Trunks, but an unending super battle awaits them! 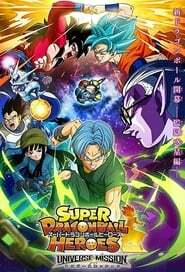 Will Goku and the others manage to rescue Trunks and escape from the Prison Planet?